This weekend I was hosting a Pregnancy 2.0 party for my Mommy friends and even some Husbands and Kids of my Mommy friends. We made it a family affair! We got some really great products from places like BabyPlus Prenatal Education System, Britax. And some goodie bag items from Snuggle Buddy, and Xlear. Here was the table set up for the party with the goodie bags and some yummy snacks!! The first product that we reviewed was the Baby Plus Prenatal Education System. Baby Plus is a little belly machine that you wear for one hour twice a day for noises that resemble a mother's heartbeat. 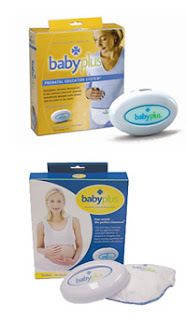 Very cool little device, wish I had known about it when I was pregnant with my boys. The BabyPlus curriculum is a series of 16 naturally derived sounds that resemble a mother's heartbeat. The rhythm of the sounds increases incrementally as the pregnancy progresses. The BabyPlus sonic pattern introduces your child to a sequential learning process, built upon the natural rhythms of their own environment. This "auditory exercise" strengthens learning ability during the developmental period when the advantages will be most significant and enduring for a child. BabyPlus is the first educational tool designed for prenatal use that has been proven effective. BabyPlus children have an intellectual, developmental, creative, and emotional advantage from the time they are born. Your baby can very clearly hear these patterns. She/he learns to discriminate between the sound coming from the mother and those from BabyPlus. In other words, learning has begun. Here JJ and I are enjoying each other as the baby listens. 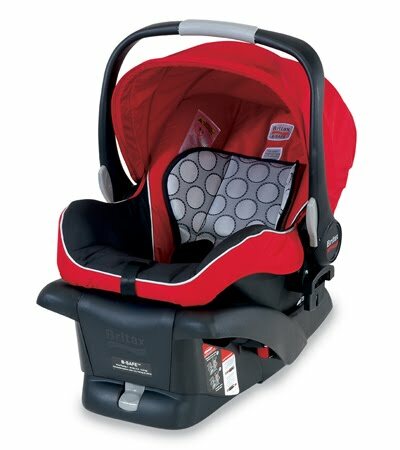 The next products were from Britax, oh man do I love them. Great quality products from a great company. They sent us three great products to test out! We got the B-Safe Car seat, and it is red which I love! The car seat is lightweight and holds up to 30 pounds, designed to carry your child through the first years. It was so easy to click in and out of the base, everyone said how they were so surprised at how lightweight it really was. 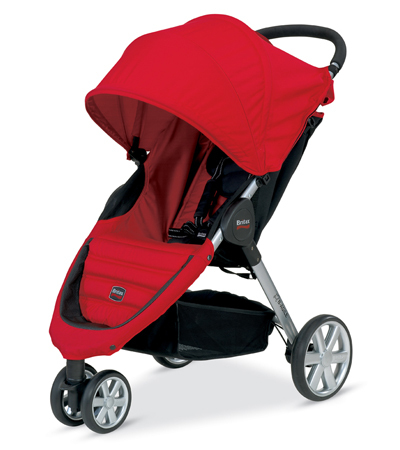 The Britax B-safe is designed to click and go into the Britax B series strollers. The B- Agile stroller is compatible with the car seat and has a lightweight aluminum frame that weighs 16.5 pounds total! We ended up having this item as the giveaway because with a small child and one on the way a double stroller is a must for us these days. Our winner is a pregnant Mama herself do she was over the top happy about this!!! 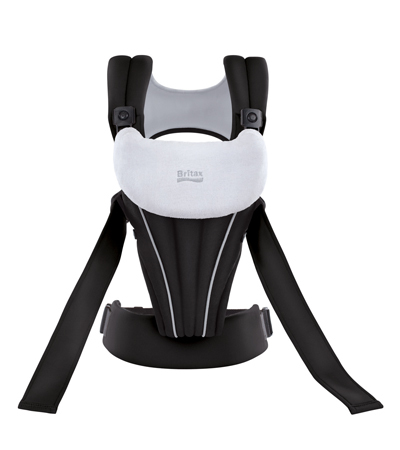 Lastly we got to try out the Britax Baby Carrier in black. I just love their carriers, they are ergonomic, soft and really well made. The top part where your babies head goes has a soft terry cloth material just seems so snugly and soft. Love it! Of coarse the kids favorite part of the party... THE BOXES! !